LANCASTER – The City of Lancaster has appointed two new members to its Human Relations Tapestry Commission – Ed Galindo and Denise Latanzi. The Tapestry Commission oversees a number of programs, which bring together various strands of Lancaster’s culture in a spirit of cooperation and understanding in order to improve the entire City. Since its inception in 2011, the Commission has launched several ongoing programs to help foster growth and community throughout the City. The first is the WEAVERS program. This outreach effort, conducted by the Commission, continues to bring together a wide array of solutions to a number of issues facing the City. The Tapestry Commission invites representatives from organizations which serve diverse memberships or clients to present the purpose of their organization at a Lancaster Human Relations Tapestry Commission public meeting. The organizations then share their ideas for partnering with the Tapestry Commission. Also ongoing is the Expungement Program, which facilitates the filing of expungement applications. The Commission’s Voluntary Mediation program resolves disputes among citizens who desire a settlement without litigation, thus further promoting a spirit of cooperation and neighborliness throughout Lancaster. The Commissioners have also worked alongside local schools, as well as faith-based business and community organizations, to raise awareness concerning themes such as celebrating diversity and preventing bullying. They have also coordinated and participated in multiple community events, including the recent Cinco de Mayo festivities, the annual Antelope Valley International Heritage Festival, and the Not in Our Town program. The Tapestry Commission has already begun preparing for this year’s “Bridge to Empowerment Season,” which will begin in September. Denise Latanzi is a Southern California native, born and raised in the Coachella Valley, and a proud Antelope Valley Resident since 1997. 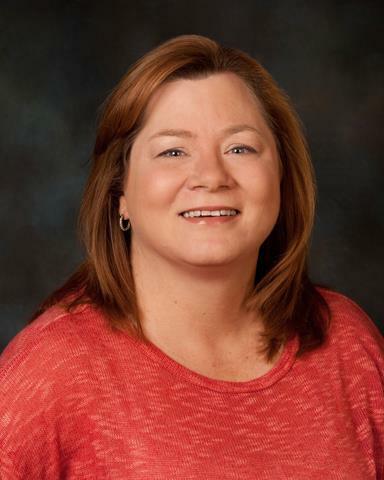 Latanzi has been very active in the local charitable community, and is passionate about building a vital nonprofit community in the Antelope Valley, while keeping local money in the hands of community based groups. She has spearheaded programs like Operation Bless You, which has delivered more than 10,000 boxes of tissue into local schools. Latanzi was also instrumental in establishing a nationwide, and later worldwide, nonprofit organization that supports patients with the rare genetic disorder, Nail Patella Syndrome. In 2001, her involvement with this organization had her hosting individuals, their families, physicians and researchers from around the world at the Nail Patella Syndrome worldwide medical conference held in Palmdale. Commissioner Latanzi is currently the Executive Director of United Desert Charities, and serves as President of the League of Women Voter’s Antelope Valley. Ed Galindo, also an Antelope Valley resident since 1997, is a retired lawyer, businessman, and veteran of the United States Air Force. 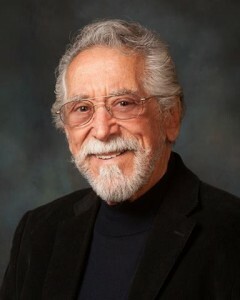 Galindo served as the Deputy Chief of the Los Angeles Municipal Courthouse for 27 years, after which he opened his own law practice, Galindo & Fox. When he retired, Galindo relocated to Mexico where he conducted an import/export business. Galindo served during the Korean Conflict, as part of the 15th Air Force, Strategic Air Command, the 3rd Aviation Field Depot Squadron, The Peacemakers, and Keepers of the Bomb. Commissioner Galindo is a member of the League of United Latin American Citizens, the Democratic Club of the High Desert, and the National Association for the Advancement of Colored People. He firmly believes in the importance of helping those less fortunate than himself. He currently resides in the Antelope Valley and produces “Café Con Leche,” a bilingual community-oriented radio program in the Antelope Valley. The Tapestry Commission consists of seven members: Sue Dell, chair; Dr. Miguel Coronado; Ed Galindo; Denise Latanzi; Dr. Mark Marshall; Jeanine Militello; and Dr. Arisah Muhammad. The Commission has also benefitted from the involvement of former members, Arturo Castanon, Matthew Himlin, Vivian Komori, David Paul, and Kevin VonTungeln. For more information regarding the Tapestry Commission, its Commissioners, and resources available through the Commission, visit www.cityoflancasterca.org/tapestry. 15 comments for "Lancaster Tapestry Commission welcomes two new members"
Congratulations Denise and Ed! I’ve never had the pleasure of meeting Mr. Galindo outside of the opinion pages of the Antelope Valley Press, but I have known Denise for at least 15 years and she is an amazing woman with more energy than I’ve ever seen in one person before. I was born in this valley, and that does not make me any more entitled to a seat on a commission in either city than someone who moved here yesterday. I’m surprised that Mayor Parris put Denise on a commission considering their history. He has not been a fan of hers, nor has she been his, but this shows progress. It also shows that the city of Lancaster is not seeing itself as a conservative bastion anymore, but is interested in hearing from everyone. If Denise puts half as much energy into this commission as she puts into the rest of her life I expect great things. Welcome to Mr. Galindo and Ms. Latanzi- your contributions are valued. I am excited to see the events/projects that come from the “Bridge to Empowerment” series this fall. Thank you to all the commissioners for your service! Latanzi has no business being on any city commission after the awful things she has said about Lancaster. Yeah, like the time she was trying to get people to boycott Lancaster and shop outside of the city. It seems like this commission is purely political and a way for the Democratic Party to get its tentacles into city hall. How many Republicans are on this Tapestry Commission despite at least half of the city being Republican? Actually, according to the voting registration records, less than half of the city is republican now… Sorry. Pure meanness? do you really think that Mayor Parris would put someone a commission if he thought they hated Lancaster? Anyone who knows this woman knows how much she loves her city. She raises millions of dollars every year that she puts back into it, and no one who knows her thinks she is anything but a shining light. I’m not a democrat, but the mayor appointing her and even Mr. Gallindo, made me think differently about him. It’s really nice to see people who have been on different sides put their past behind them and work together, and I think this is a great thing he did. Denise Latanzi has worked very hard for her community, and I’m sure she will work hard for this commission. Ty for saying that. We know the Latanzi family from EHS, and Miss Denise is one of the nicest ladies around. She was great to the kids, even drove other people kids in her car to events, and fed them all. Their family paid the band money for the kids fees who wanted to play in the band but couldn’t afford the fees. This is a good lady and a good family. I know ugly people only say ugly things, but no one should believe bad about her before they meet her. I know Ed and Denise well. As a Lancaster resident, I know they will serve us well. The tragedy of the Tap Commission is that instead of separate commissions such as it and the soon to be created like one in Palmdale, we should have a AV Human Relations Commission funded by the county or state that is accountable to no one and with teeth to act if necessary. Meanwhile, Congrats Ed and Denise! I know, right? Having a unified Antelope Valley Human Relations Task Force…ooops, I meant Commission, would be great, wouldn’t it? What a novel concept, I wonder why nobody has thought of that before now? The AV human relations task force that was headed by Daren Parker was a complete joke. Parker used it to protect certain people and go after others. Mr. Rives, it should not be funded by anybody. These groups need to volunteer their time.